Safe & Sound for Baby brochures are perfect for playgroups, doctor’s offices, day cares, and other baby related service companies. Download the brochure here. Watch this video to learn more about Safe & Sound for baby. This non-manufacturer specific brochure, titled Safe & Sound for Baby, illustrates the proper use of many juvenile products. The brochure highlights many of the products used for baby and further focuses on sleep, bathing and feeding safety, as well as household dangers, electrocution, suffocation and strangulation. Help provide parents with safety tips by promoting the Safe & Sound brochure on your website. Copy and paste the following code into the HTML page on your website. 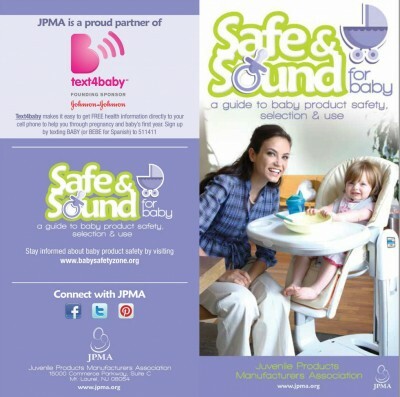 The logo will link to the Safe & Sound page on the JPMA website.